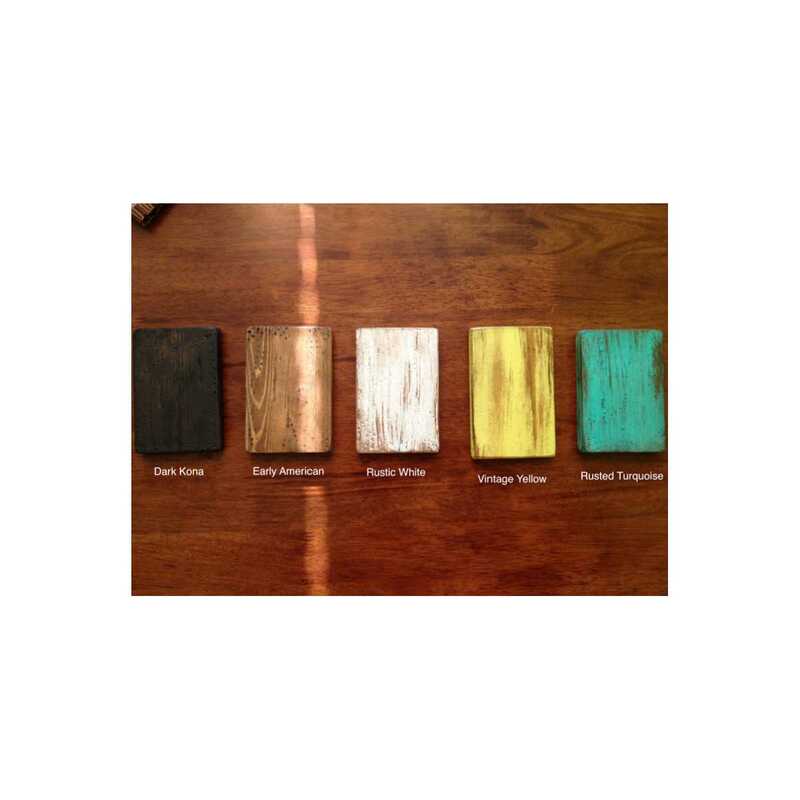 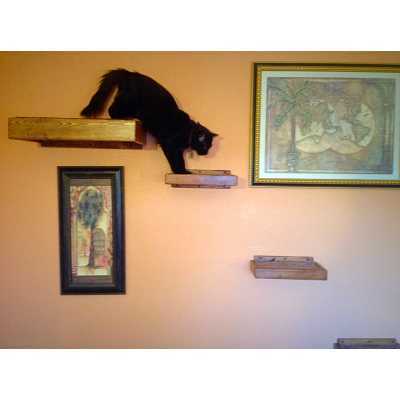 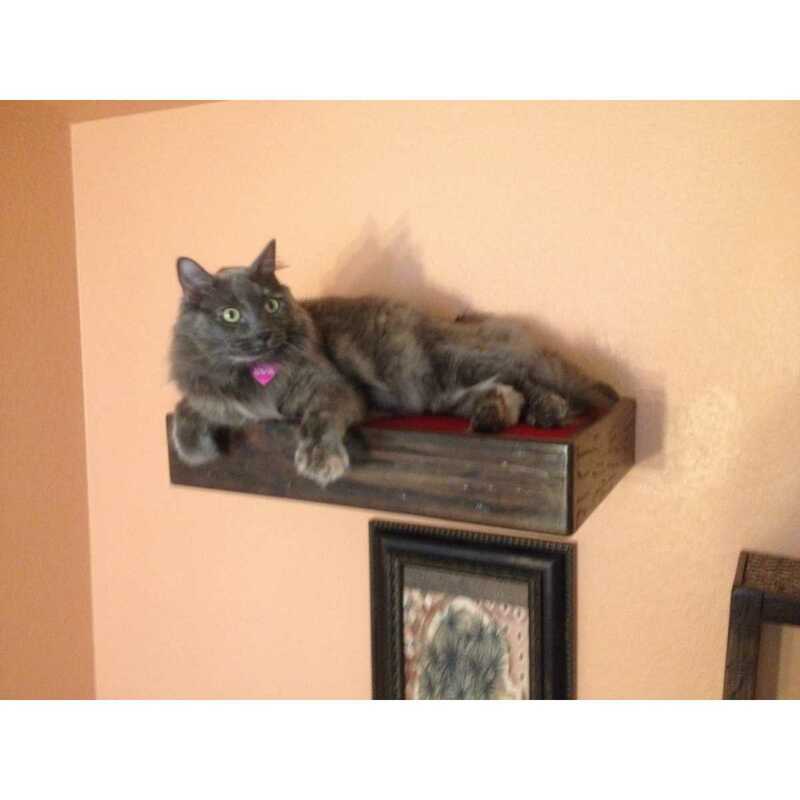 These beautiful cat shelves are made with reclaimed wood. 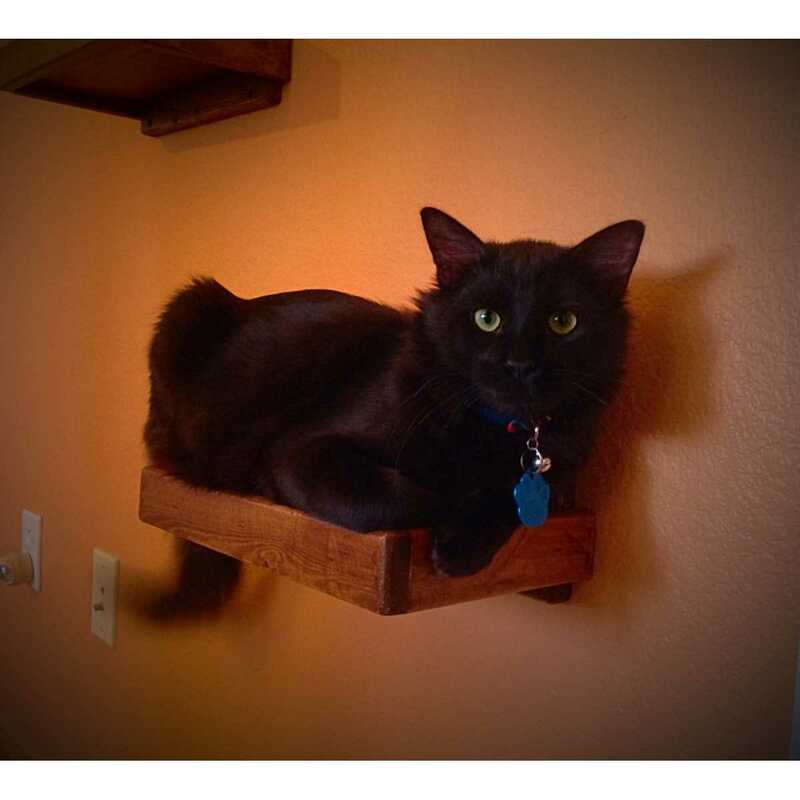 These shelves can be arranged in any way you would like! You can stagger them, you can make them diagonal, you can install them next to each other, or you can space them around to provide a handy step for your cat to cross! 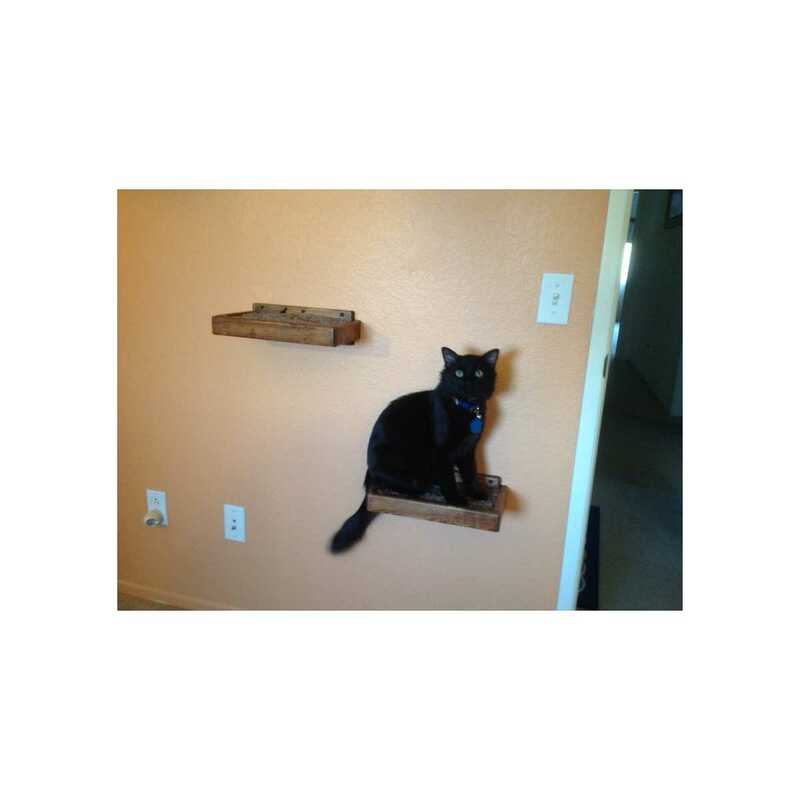 These shelves, when installed into a stud correctly, have been tested to safely support up to 40 pounds! 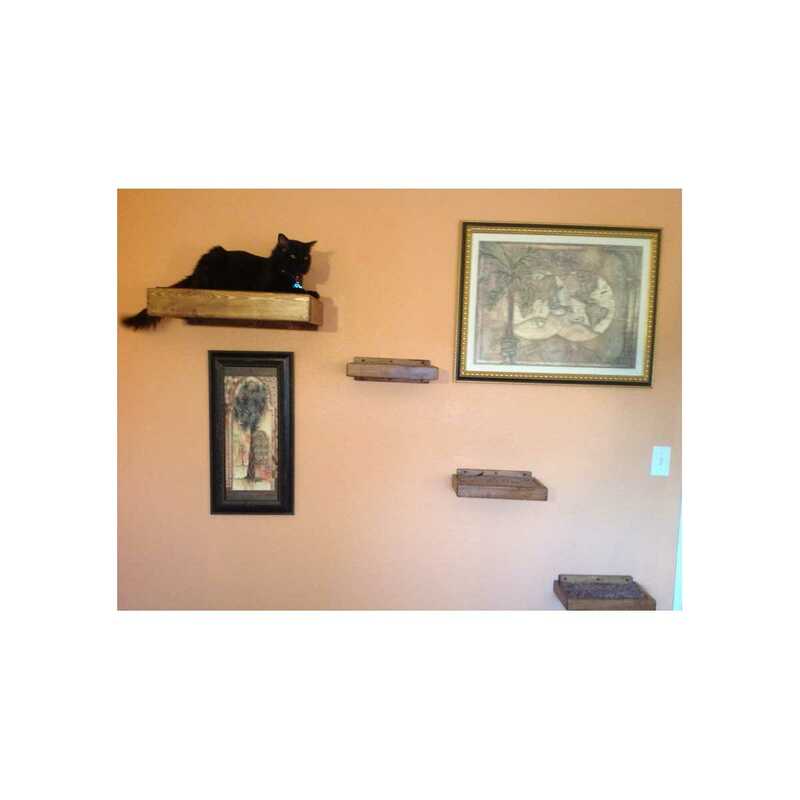 Floating Cat Step - 12 1/2"" x 7""
Floating Cat Bed - 12"" x 20"" x 4""